KYLThave12T,18T,20Tdie casting machine to provide casting service for clients, Zn. 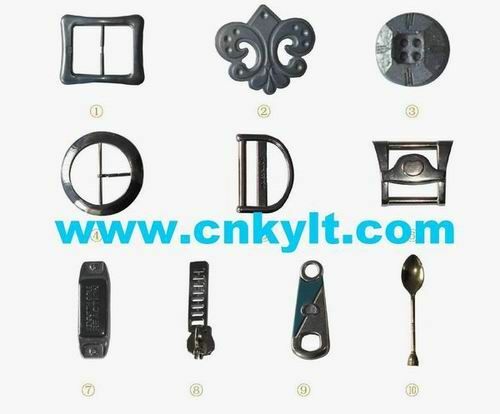 products such as:auto parts, zipper head and puller, spoon, coin, lable, logo, buckle head, jewelry, accessories of luggages and clothings etc. Our client use 30T hot chamber zinc (Zn.) 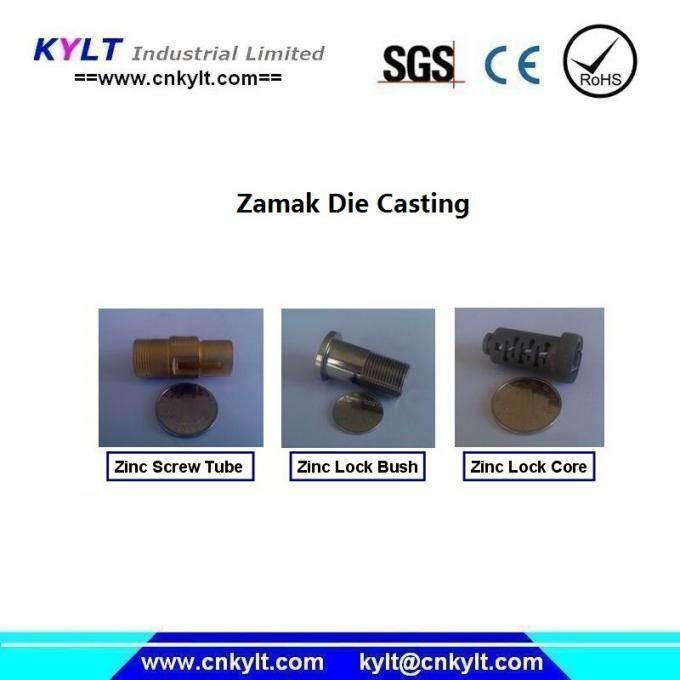 lead (Pb) die casting machine to cast battery Pb bushing or terminal. KYLTmake mold and toolings to fix with12T,18T,20T,22T(PLC),30Thot chamber die casting machines.Those molds and toolings used to cast, zinc(Zn. or Zamark), lead(Pb. ), Tin alloy etc low melting point materials.